The Vauxhall Meriva is a compact MPV that's good looking, spacious and highly versatile, and above all, enjoyable to drive. If you're in the market for a family car that's comfortable and well equipped, this could well be the solution you've been looking for. Come and discover the latest range of used Vauxhall Meriva models for sale in Preston today by paying a visit to our showroom in person. 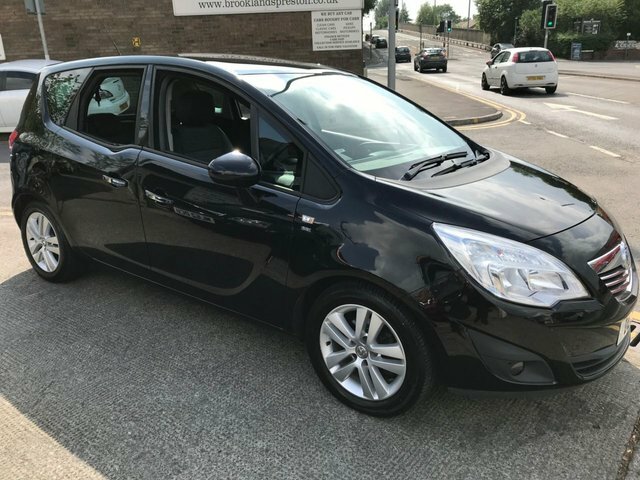 You can also view the complete stock of affordable used cars for sale through Brooklands Motor Company Ltd here on the website. Contact us today to chat about your individual requirements, or to arrange a test drive in the model of your choice.